The Ravens did not have the best start to their postseason, at least on offense. Baltimore, which ran its way into the playoffs behind rookie QB Lamar Jackson, fumbled three times in its first eight plays in their wild card game against the Los Angeles Chargers. 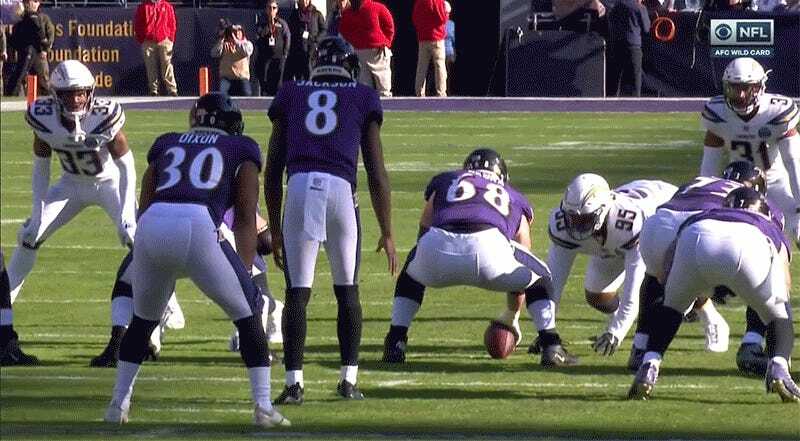 The Ravens recovered the first two fumbles; Jackson even got a pass off after the first one. But the third fumble, by Kenneth Dixon, was recovered deep in Baltimore territory by the Chargers’ Adrian Phillips. L.A. turned it into a field goal. Could’ve been worse for the Ravens.